While some of the traders relented and moved over to the Koyambedu complex, more than 100 traders stayed back resulting in legal wrangles and political manoeuvring. CHENNAI: Badrain Street in esplanade lost the fragrance of flower business after the Chennai Metropolitan Development Authority, following a Madras High Court ultimatum of 48 hours, locked and sealed 60 shops with police security on Thursday. This comes after the Madras High Court on Tuesday gave the 48-hour ultimatum to the CMDA to lock and seal the shops. Justice SM Subramaniam gave the direction to be implemented within 48 hours when a batch of over 50 writ petitions from the flower vendors seeking to restrain the CMDA and the Housing and Urban Development department from evicting them came up. The judge noted that the government had passed several orders directing the traders to shut the shops. The High Court also upheld these orders on various occasions. It had ordered the lock and seal of the shops. However, they had broken open the lock and seal and many FIRs had been registered by the police in this connection. But they have been ineffective, so far. Hence, some serious action must be taken against them, the judge said. 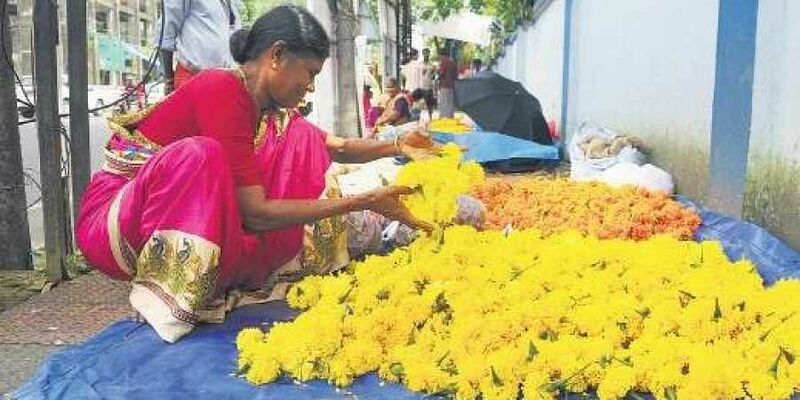 Caught in a legal tussle for around 20 years, the flower business in Badrian Street has weathered the 1996 move when the government directed the wholesale flower merchants to stop the trade and shift the same to the Koyambedu Wholesale Market complex under the Tamil Nadu Specified Commodities Markets (Regulation of location) Act 1996 (Tamil Nadu Act 24 of 1996). The worst was that a few of those who moved to Koyambedu Market obeying the CMDA directive started to feel the pinch as a parallel wholesale flower trade continued in Badrian Street. Earlier, a survey assessing the wholesale flower trade in Badrian Street was conducted. It was ascertained that a total of 138 traders are into wholesale flower business. Similarly, a survey conducted by the Chennai Corporation found in 2010 that there are 130 traders who are involved in wholesale business. In 2016, there was crackdown on the flower shops in Badrian Street with 59 of them being sealed by Chennai Metropolitan Development Authority.